Earn up to 17,992 reward points. 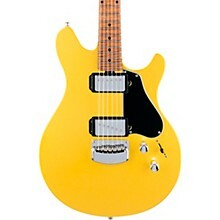 Comfort, style and monster tone in one great guitar. 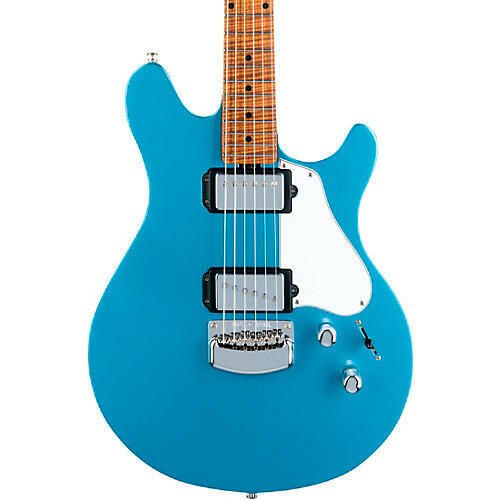 The Ernie Ball Music Man James Valentine “Valentine” guitar features a slab ash body, two Ernie Ball Music Man designed pickups (1-humbucker/1-single coil), with 3-way custom wired lever switch, coil tap, modern hardtail bridge with vintage bent steel saddles, 25.5-inch scale, tinted ultra-light satin polyurethane finish neck with 10-inch radius roasted maple fingerboard, 22 stainless steel frets, oversized 4-over-2 headstock and compensated nut, designed for superior tuning stability. Includes hardshell case. Grab this remarkable guitar. Order today.